* Please Note: A separately purchased Connection Boot may be required to connect Heat-Fab Stovepipe to Vermont Castings stoves. 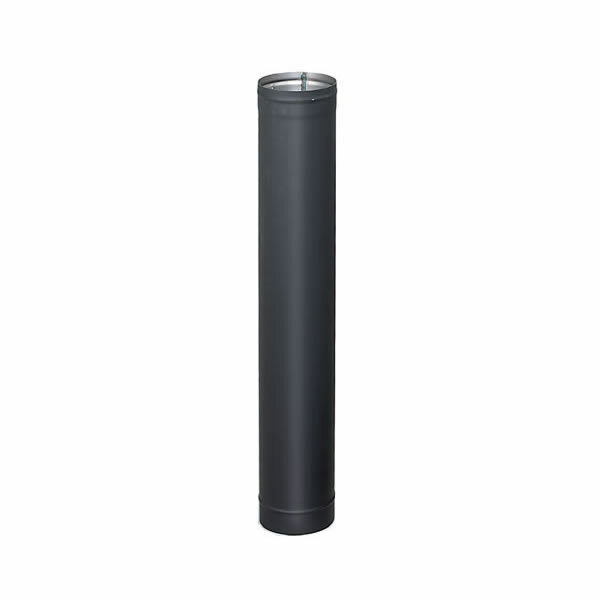 Heat-Fab black stovepipe can be used to connect coal and wood burning stoves to their chimneys. This piece is 8" diameter x 48" long and comes individually wrapped. The single wall pipe is made of 22-gauge steel that has laser-welded seams and a sleek black finish to match your other Heat-Fab stovepipe components. Each case contains two four foot sections of stovepipe. Each piece is individually wrapped to keep it from getting scratched during shipping.